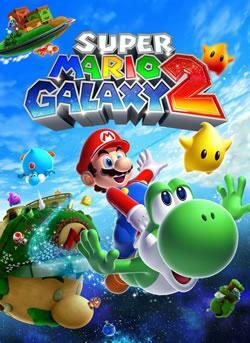 Super Mario Galaxy 2 is one of the best video game in Mario series which is released in WII platform. The developer of Super Mario Galaxy 2 is Nintendo EAD and publisher of the game is Nintendo. The game was directed by Koichi Hayashida and produced by Shigeru Miyamoto, Yoshiaki Koizumi and Takashi Tezuka. Super Mario Galaxy 2 is the fourth and best 3d Mario game in super Mario series. Super Mario Galaxy 2 was released in 2010. Super Mario Galaxy 2 is the most sold and high demand video game in WII plat form. More than 6.36 million copies have been already sold in all over the world. Yoshi is one of the important characters in Super Mario Galaxy 2. In this game you can use Yoshi for riding which is not there in previous Mario games. This game has got high rankings and ratings from different websites and magazines. In Super Mario Galaxy 2, Mario has to travel in different galaxies to take all Power stars to reach the universe. The main target of the game is to rescue the Princess from the Bowser where Mario has to reach the center of the universe to fight with Bowser. There are 49 galaxies and seven worlds to explore in the game. Single player and multiplayer modes are available in Super Mario Galaxy 2.